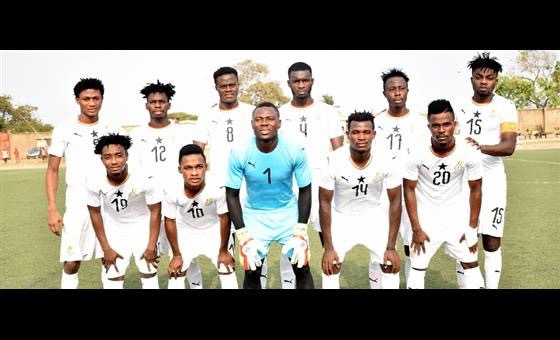 Youssouph Badji hit a brace to book Senegal a place in the last four and World Cup ticket as they outshined the Black satellites of Ghana in Group B of the Total U-20 Africa Cup of Nations in Maradi on Wednesday. Youssouph Dabo and his charges will be representing Senegal at their third appearance at the FIFA U-20 World Cup in May in Poland. The 18-year old who plays his club football with Casa Sport de Ziguinchor headed in his first goals after eleven as the young Lions took control of proceedings in Maradi. Jimmy Corbballah’s Black Satellites where determine to level matter after going behind with Lomotey firing over from close range in the midway point of the first half. Badji missed an opportunity to increase his tally in the half hour mark when he was first to a loose ball rounding the keeper but miscued his control allowing Ishaku Konda to clear the danger. Goalkeeper Nurudeen pulled an athletic save to deny the maverick midfielder Dion Lopy who shoots from distance. Youssouph completed his double with a neat right footed finish just inside the area from Lamine Danfa’s superb delivery on the stroke of halftime to hand his team an unassailable 2-0 advantage. Senegal came into the second half determined to see off the match with Badji and Lopy all forcing saves from the busy Abdul Nurudeen. The defeat means Ghana has to avoid defeat against Mali on Saturday in Niamey to qualify for the semifinal and booking a place at the World Cup in Poland.